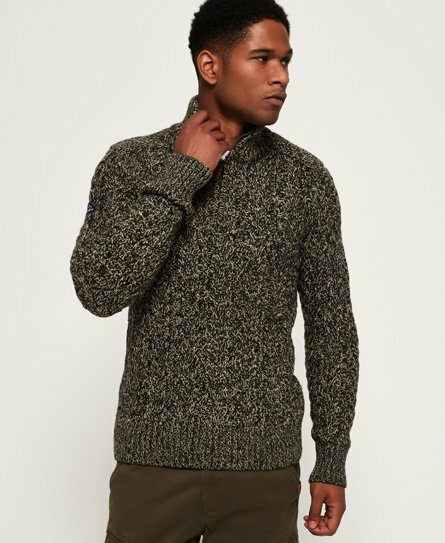 Superdry men’s Jacob Henley jumper. This classic cable knit jumper features a ribbed collar neckline with zip fastening and is finished with a Superdry logo badge on one sleeve. Pair the Jacob Henley jumper with your favourite jeans and boots for a comfy, yet stylish look.